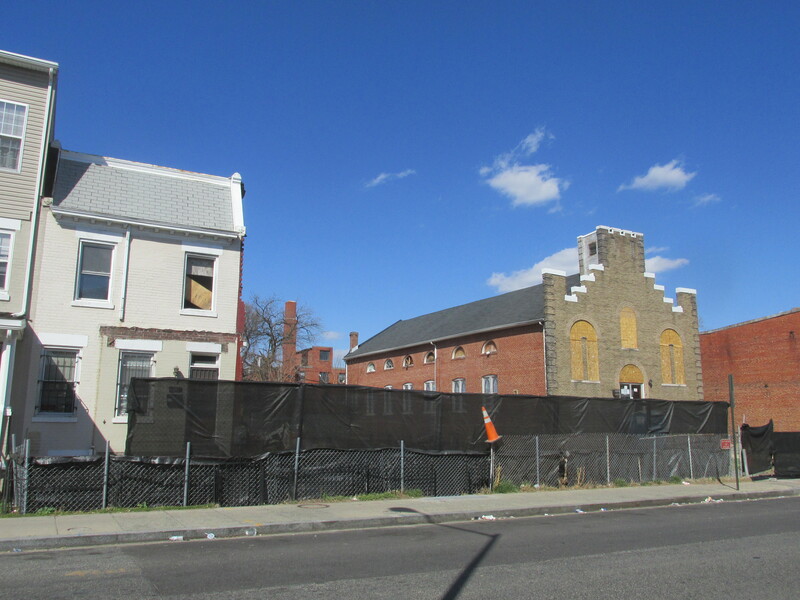 Work Continues with Park Road Church Project | Park View, D.C.
Rowhouse at 633 Park Rd in process of being razed. 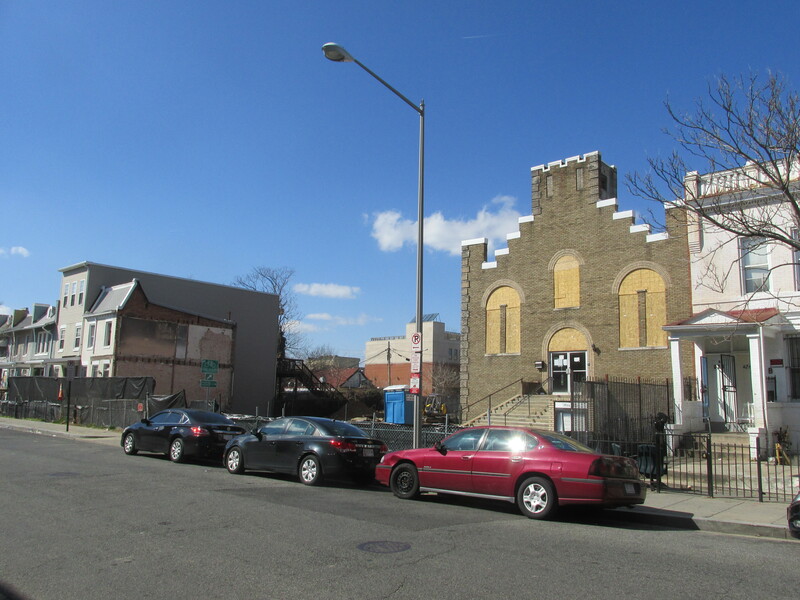 The project to redevelop the old church at 625 Park Road, the surface parking lot, and the rowhouse at 633 Park Road appears to be moving again. 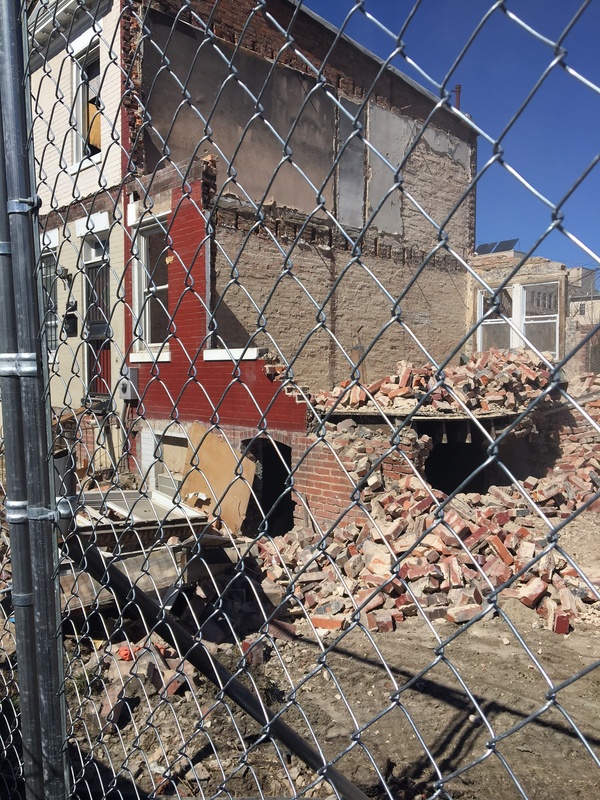 While work appeared to stall in mid-February, by the end of the month new fencing went up and over the past week the rowhouse at 633 has been razed. The approved plans are for new construction connected to the historic church to create 38 new housing units in the neighborhood. Below are views of the property with the house razed. This entry was posted on March 15, 2017 at 7:01 am and is filed under Architecture, Housing. You can subscribe via RSS 2.0 feed to this post's comments.